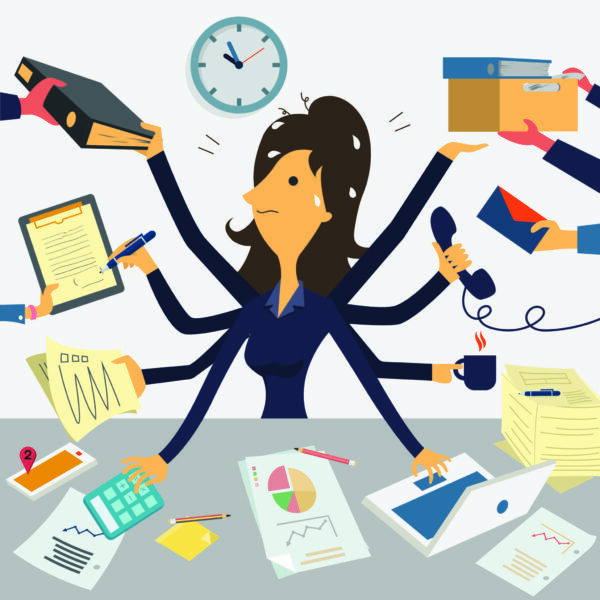 When the demands of a busy life start to “stress you out,” how do you handle it? It's important to have a strategy in place when stressful situations arise. Recently when I began to feel overwhelmed by the stress of multiple demands at work, I implemented my Emergency Stress Protocol. I thought I'd share it with you, in case you find it helpful too! When life is throwing things at you with both hands, stress can affect you physically, psychologically, and emotionally. If you're like me, you can end up feeling distracted, unfocused, tense, and headachy. Why does that happen, and what can we do about it? What is stress, and what does it do to us? Stress is defined as “a state of mental or emotional strain or tension resulting from adverse or very demanding circumstances.” Another definition of stress is “the nonspecific response of the body to any demand for change.” It is important to understand that stress isn’t the thing that’s happening, it’s your body’s response to what’s happening. Our bodies are designed to use stress as a defense mechanism. We favor sameness because we want to feel safe and secure. The unknown and unfamiliar has historically been seen as dangerous and our body perceives change as a threat. In response to stress, our body then triggers the “fight or flight” response, shutting down unnecessary body functions and preparing us to run or fight when necessary. This is the body’s way of protecting us from danger. One problem in the 21st century is that our bodies can’t distinguish between the threat of a tiger or an argument with a friend. The same physical reactions occur, but since there is no reason or opportunity to burn it off by fighting or fleeing, the effects of those “fight or flight” hormones can build up and wreak havoc on our physical and psychological health. While we often hear of “fight or flight,” we now know that a more correct description is “fight, flight, or freeze.” Our bodies are designed to prepare for action, but if that’s not possible, then the freeze response takes over and that is when our body starts to shut down. In the 21st century, most of us have few physical threats in our life (most of the time), but our body still reacts to modern-day threats in the same way, with a flood of hormones and all of those same physiological and biochemical processes occur. In those cases, the self-defense mechanism can interfere physically with our ability to do the stuff we actually need to do. When dealing with stress you can experiment with my Emergency Stress Protocol. This is what I did last week when I started to feel that overwhelm. The first step is to close the door, sit down, close your eyes, and breathe for a minute. Then clear the decks–get everything off of your desk and out of sight, and minimize all app windows on computer screens. Next step is to get out a pad of paper and a pen and set a timer for 10 minutes. Write down everything on your mind without trying to organize your thoughts. Dump everything out of your head onto the piece of paper. When the timer goes off, put down your pen, and put your paper away and go for a walk. Get up and move, go on a walk or run, and just try to move for 10-15 minutes. Then drink a glass of water (hydration actually does help! ), then get out your paper and pen, set a timer, and do another brain dump. You will add more things that are on your mind onto paper. When the timer goes off, close your eyes and take some deep breaths. What tasks can I cross off? What can I ask someone else to do? What can I pay someone else to do? If you can, make a note beside each deferred item of what specific action you’ll take next, when the appropriate time comes. If there is something that can be done quickly, act on it — take 15 minutes to take action on it and cross it off your list. This process–the Emergency Stress Protocol–can help you get back on track and get rid of that panicky feeling. Deep breathing helps us to feel calm and to refocus. Physical activity helps us to burn off some of the excess energy caused by the flood of hormones. When we write all of our ideas and worries down, our brain knows that everything is captured and quantified. The decision-making process allows us to regain a sense of control. Taking these steps helps us deal with not only the physical threats of stress, but also the psychological effects, enabling you to live a more peaceful, healthy, and productive life. What are your best tips, tools, or tactics for dealing with those stressful times in your life? Please share your comments, questions, or ideas in the comments section below or on The Productive Woman Facebook page–or email me! If you’re looking for encouragement, motivation, accountability in achieving your goals and moving forward in a life that matters, consider joining the next session of The Productive Woman Mastermind groups. These are paid groups, facilitated by me, and each group is kept small to allow maximum participation and benefit. The current groups are full and in progress but new groups will start after the first of the year. What a great way to kick off the new year! Spaces are limited, so get on the list now–visit my Work with Me page for more information and a link to the online application. Questions? Email me!